Mrs. Nada Dallal Doughan is the Executive Director of the Kitab Fi Jarida Project, a cultural NGO working under the patronage of UNESCO since 2003. Previously, she worked as an advisor to UNESCO in various cultural programs and as a freelance essayist. 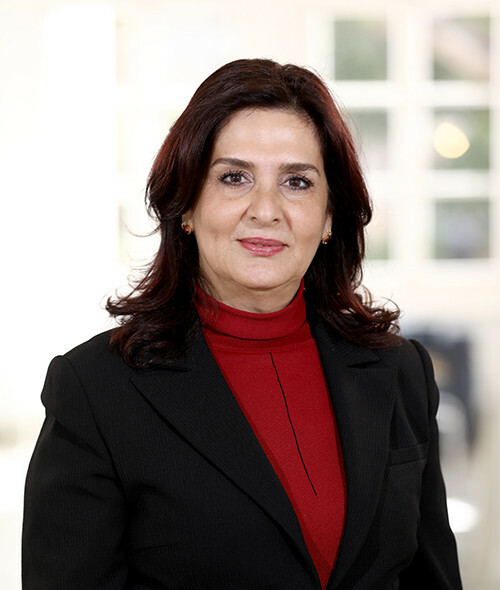 She has chaired and organized the PR and Protocol Committees of major international cultural and sports events, including the 2000 AFC Asian Cup, the 2003 Beirut International Marathon, and the 1997 Pan-Arab Games. She has also organized and participated in various cultural and sports Seminars and Conferences, in Beirut, Cairo, Kuwait, Amman, Tunisia, Oman, Sana’a, Paris, Vienna, Sicily, Torino, and Bangkok. Nada holds an MA. in History from the Lebanese University and a Diploma in Business Management from Haigazian University. She continued her studies at AUB’s University for Seniors Continuing Education Program.